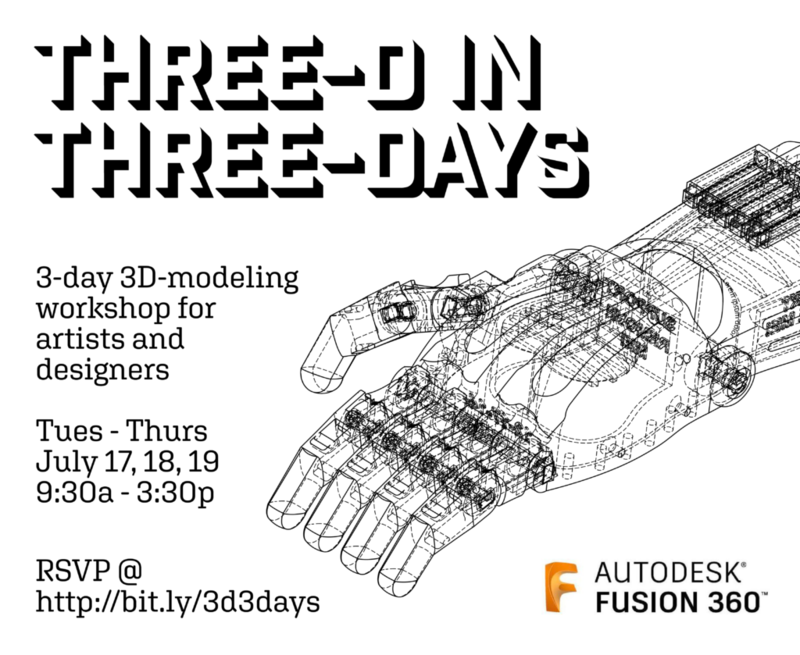 FSU Assistant Professor Rob Duarte will be teaching a 3-day workshop for artists and designers, on 3D modeling using Fusion 360 software. It will focus strictly on 3D modeling as it relates to making physical things (as opposed to assets for games, animation, VR, etc.). The workshop will take place July 17 – 19, at 9:30am – 3:30pm, and is free, but pre-registration is required. Click here for more information and registration.